Talia Erickson created the concept and has been on the management team at Buddings flexible occasional Daycare since 2011. 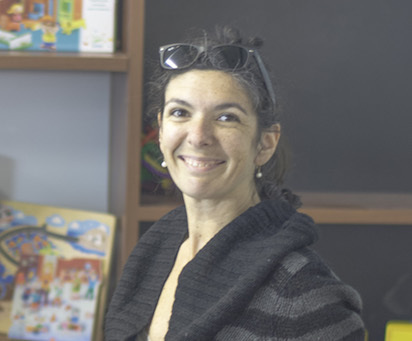 She holds a Combined Honours degree in Psychology and Journalism from the Universities of King’s College and Dalhousie in Halifax, and took her Daycare Basics at the Westcoast Childcare Resource. Her appreciation for clear communication, (“use your words”), polite manners, and environmental awareness can be found throughout this website, in our newsletters, as well as at the centre. Families count on her for transparency and a continuing desire to improve, and kids get consistent guidance towards global responsibility. Sarah and the team are handling things at Broadway these days, so Talia has been spending more of her time on the East Side, working on our coming-soon flexible daycare up at Knight and Kingsway: Storybook Buddings – slated to open in March! … or April. This year, she’s also taking the Buddings scheduling software to market through our sister company, Growing Daycares. But you can still catch her at Broadway on Mondays and Saturdays. Send an email to admin, info, news, or plain old talia@buddings.ca, or find her on LinkedIn.